Why is my HU Cash HUD messed up? If this is your first time loading a PPH HU Cash HUD, this is what you should do. When playing heads up, left click on the PokerTracker 4 icon and choose Change Profile – Cash PPH with the correct version (EW if sitting in East and West positions and NS if sitting in North and South positions). The statistic bars will be scattered around. 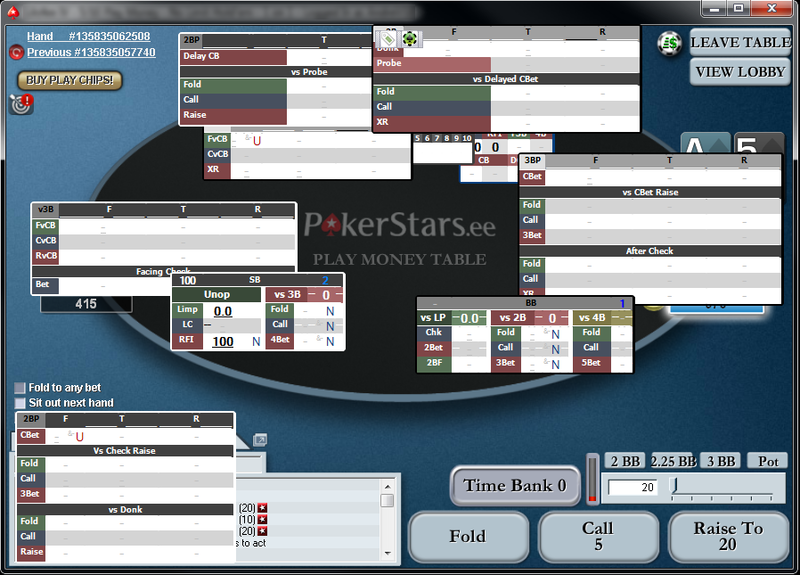 To be able to move them around, left click on the PokerTracker 4 icon again and click Unlock Layout. You are now able to drag the bars around as you choose. The up and down arrows show trends. If there is an upward red arrow next to a stat, it means that villains tendencies are going up for that statistic and down if it`s a downward green arrow. If there is a small blue box instead, it means that the stat is stable(the tendencies arrow is based on the total value compared to last 25 opportunities for a stat). The last X bars show how villain or hero have played the last 10 times they were the SB/BB.